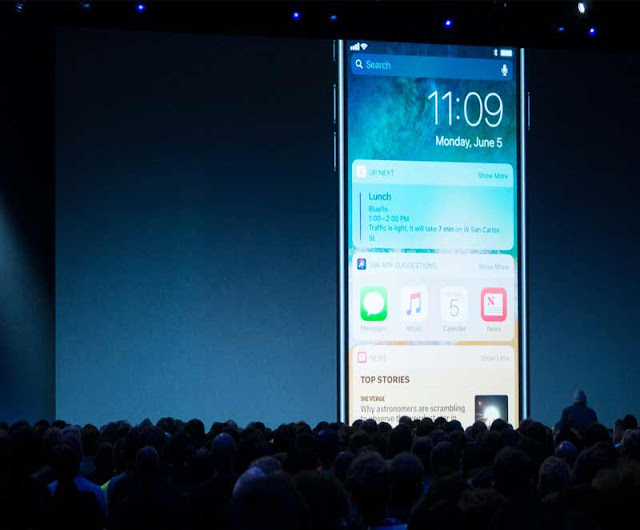 Apple has finally launched the most advanced version of powerful mobile OS, the iOS 11. The software which is full of new features and can change the way you use your iPhone and iPad. With hundreds of new features, not everything can be a winner. A new look for the App Store? Revamped Control Center? Better than before, but looks a bit cramped. But there were several things that caught our eye and will likely improve the iOS experience come September. In this article, we are going to talk about the three most interesting features of iOS 11, which we are looking forward to. Though some of its biggest rivals have embraced virtual and augmented reality, from Microsoft's HoloLens to Samsung's Gear VR, Apple has mostly observed from the sidelines. Last fall, Tim Cook said AR was "incredibly interesting," but that's all we've heard from Cupertino on the matter, even as millions of Pokémon fans ran around the country last summer catching AR creatures on their iPhones. Now it appears Apple is finally ready to embrace AR with new tools for software developers that will allow them to bring augmented reality apps to iPhones and iPads. Using ARKit, developers will be able to create AR apps that work with people's existing iPhones; you won't need a special phone to see AR tricks like you do with Google Tango. Apple just needs developers to get creating. Siri is the most popular personal assistant in the world with more than 375 million active devices accessing Siri each month across 36 countries. Using the latest advancements in machine learning and artificial intelligence, new male and female voices are more natural and expressive, adjusting intonation, pitch, emphasis, and tempo while speaking, and can translate English words and phrases into Mandarin, French, German, Italian or Spanish. Siri extends beyond voice, using on-device learning to deliver more personal experiences and offers suggestions based on personal usage of Safari, News, Mail, Messages and more. For example, as Siri learns topics or places a user is interested in while browsing Safari, they will be suggested when typing in Mail, Messages, and other apps.